Home Gotta Getta GUND GUND Disney GUND Disney Tigger 7"
7",2011, Bright orange extra soft polyester plush with brown air brushed stripes, cream plush inner ears, face and tummy, embroidered facial features, hard stuffed with some plastic pellets so Tigger will sit. Non jointed, surface washable, infant safe. 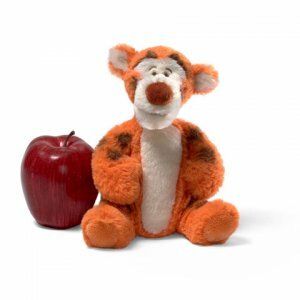 Notify me of updates to GUND Disney Tigger 7"